You can rely on the ID-Workz team for sound auto parts advice, after being in business for ten years we are considered performance car parts uk specialists, priding ourselves on offering our clients knowledge, quality and value. Aftermarket car parts are ten a penny, especially online where you can easily search for any part you might need and are met by hundreds of options, at a hundred different prices. The danger within the convenience of shopping online is whether you’re actually getting the correct part and is it at the best price. If you’re a mechanic or an enthusiastic hobbyist, you’ll probably have enough knowledge to ensure that you are buying the right part. But not everyone will have that prior knowledge and could be easily fooled by the low prices offered by poorly made car parts. 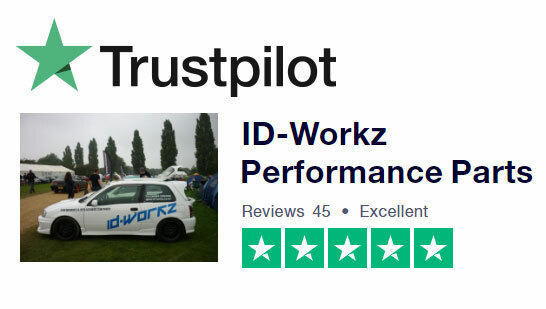 Rather than going for the cheapest part you can find, fitting it, and finding that it either doesn’t work or breaks soon after fitting - get in touch with the ID-Workz team and we will guide you to the best high performance car parts on the market. After a quick browse through our website, you’ll see that we stock a vast amount parts. From induction kits to lowering springs, brake pads to clutch kits - we have will have the right part for your modification project. Whether you’re looking to buy performance parts for your car in store or online, we’re here to help. Shopping on our site couldn’t be easier by setting yourself up with a customer account, but if there is something you can’t find or you’d just like some advice before buying, get in touch with us via the contacts section or call us on 01484 535665.